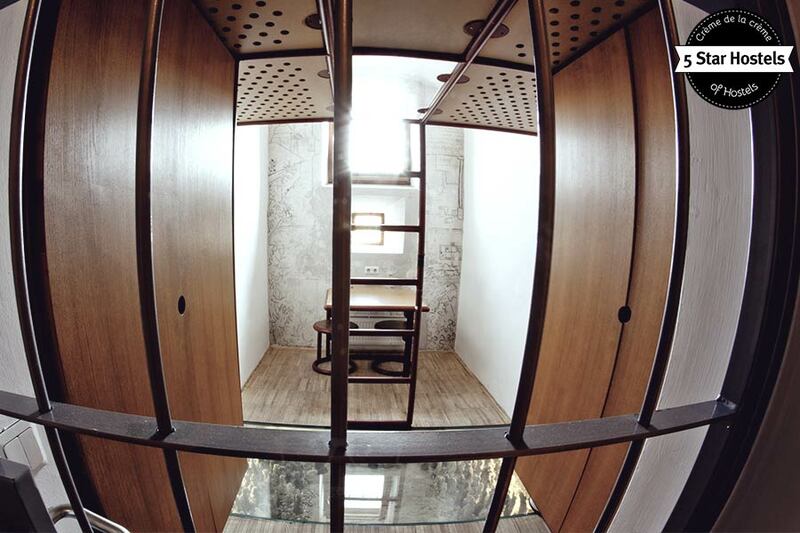 Have you ever slept in a former prison? 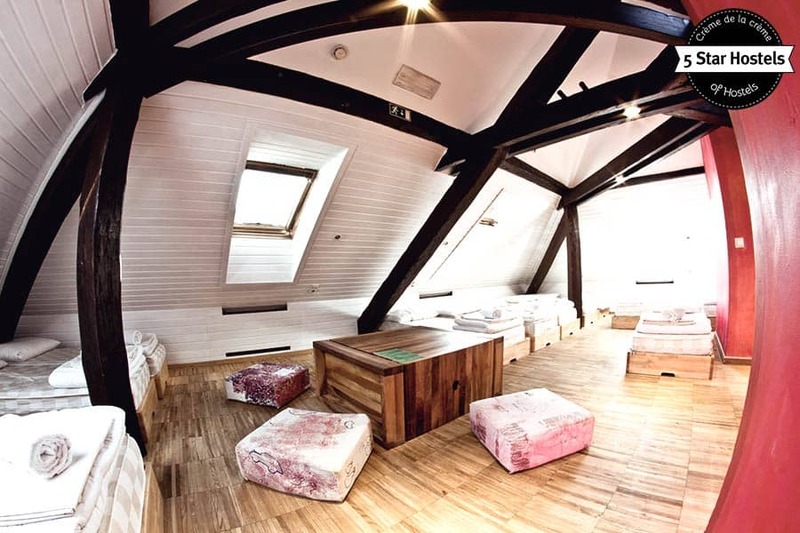 Hostel Celica, the premium Hostel in Ljubljana is just that. 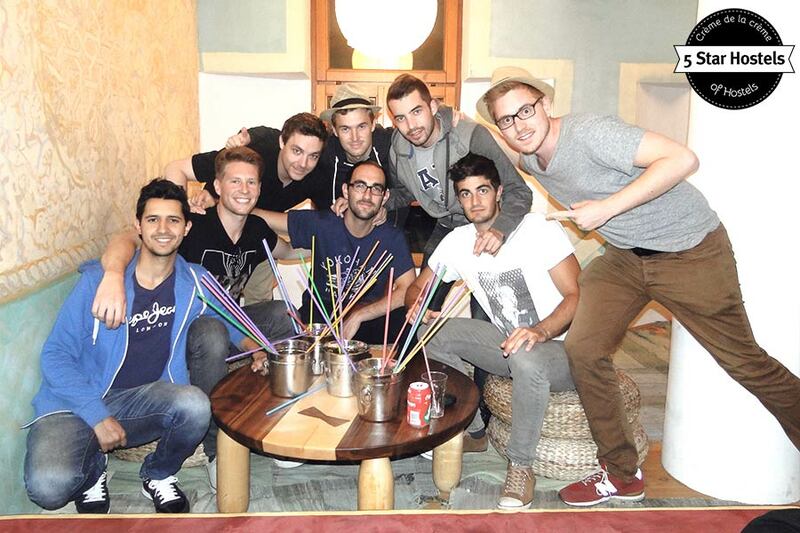 Welcome to Hostel Celica, one of the most intriguing hostels in the world. 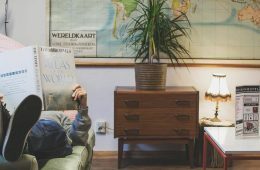 With a name that means "cell" and a history as a former military prison, the Celica Hostel (or full name: Celica Art Hostel) might not sound like the sort of place you'd find an open-minded, relaxed place to stay. But that's exactly what you'll get here in the heart of Ljubljana, Slovenia. 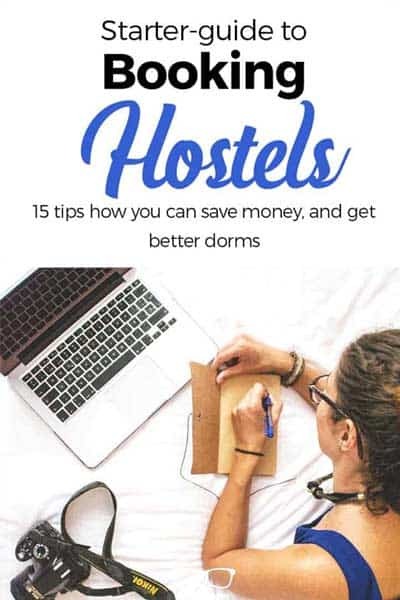 How to book Hostel Celica? 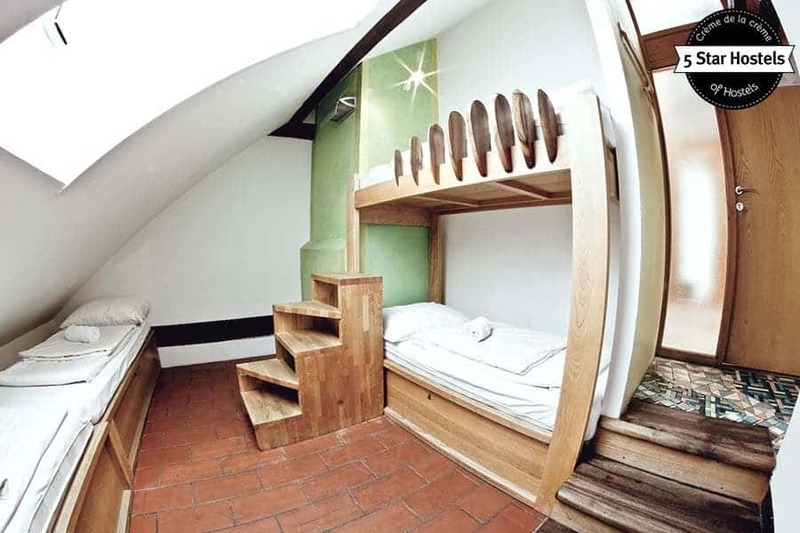 Congrats, you just found the coolest hostel in Ljubljana, Slovenia. Now, what about your booking? 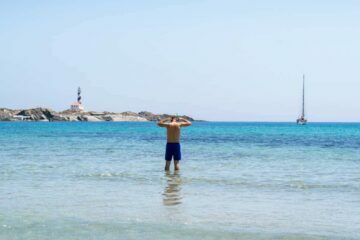 Check out the official website of Hostel Celica. Why? There you can get the lowest prices! 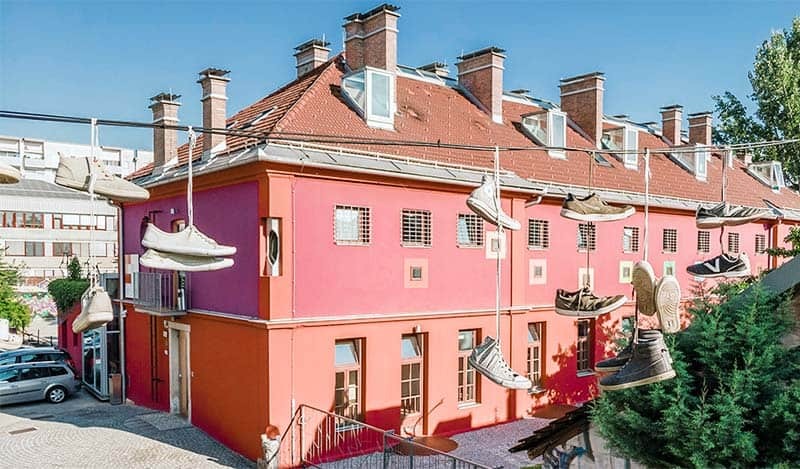 The Celica Art Hostel is a quick 5-minute walk away from the train station and a 10-minute walk away from most of Ljubljana's major attractions. On top of that, you'll be in heart of the hip alternative neighborhood of Metelkova city, which is known for being the place to go for art galleries, artist's studios, street art, cultural events, and all kinds of parties. Transformation is the name of the game here, and these days you won’t find anything prison-like within these walls. There are 20 former prison cells! 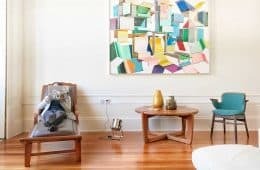 They have been artistically transformed into welcoming double and triple rooms for guests, along with more rooms including small and large dorm rooms, rooms with special artistic features, and even a wheelchair-friendly room. Ljubljana is a great place to visit. 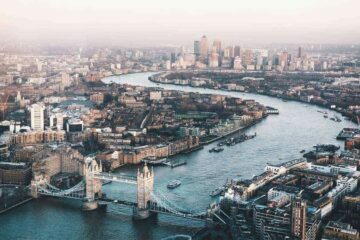 It is a relatively small city, easy to explore by foot and bike. 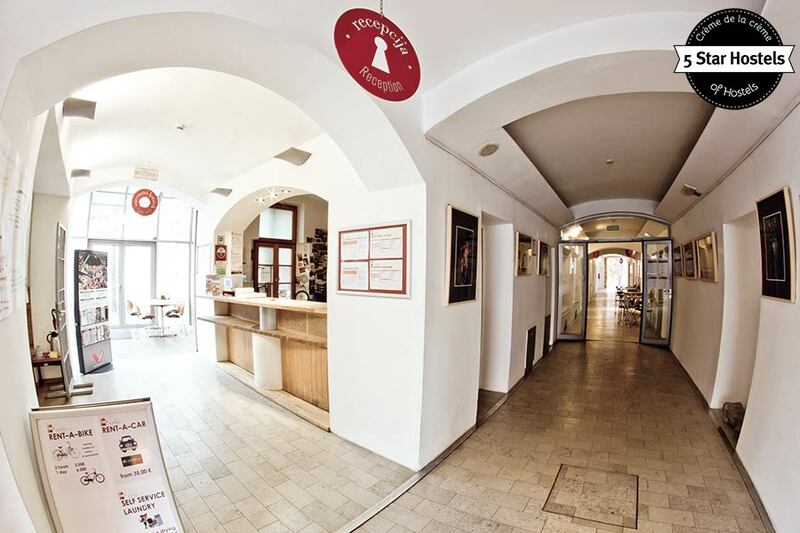 With this hostel, we’re excited to introduce you to a fantastic hostel in the Slovenian capital. 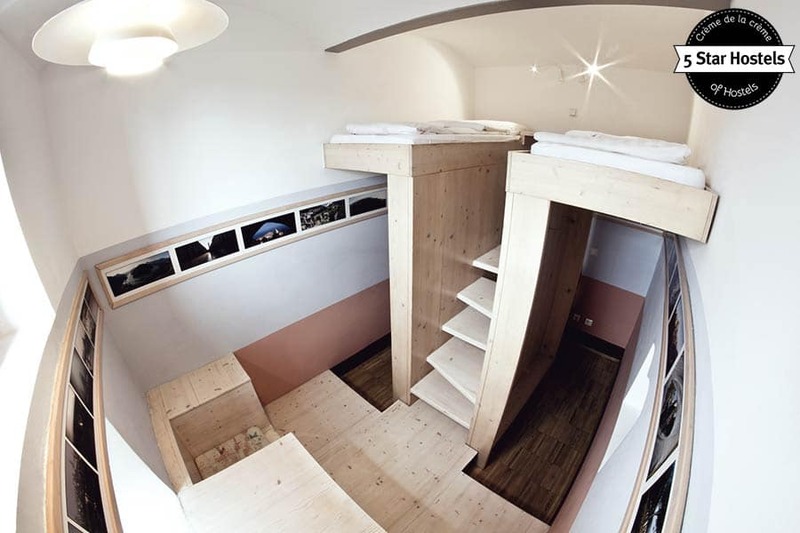 It is your perfect place to stay, and certainly on top of all best hostels in Ljubljana. While some of the hostel’s architectural details are left over from the military prison, that’s about it. Today, the former prison is a friendly, free space with prison bars only on the windows and doors of the cells. The concept behind the hostel is to create an environment where people can share their life experiences and their creative ideas. Let’s put on some imaginary prison uniforms. 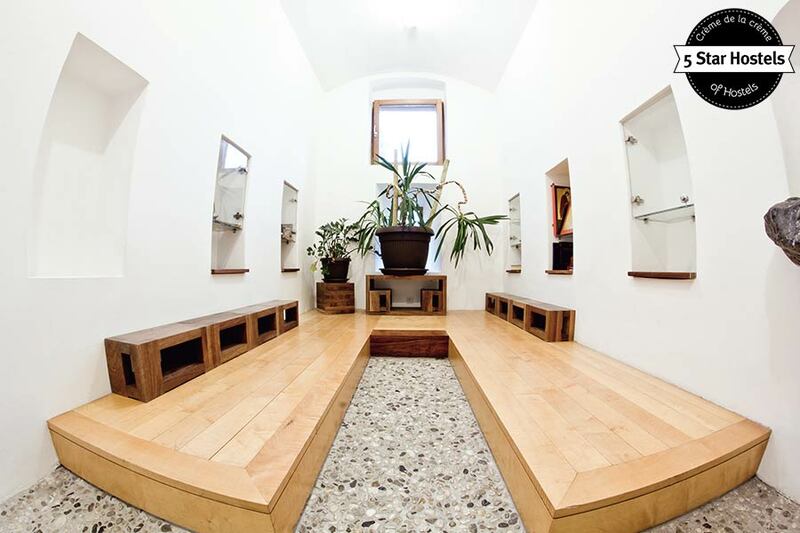 Join us on our walk around award-winning Hostel Celica, on top of all best hostels in Ljubljana, Slovenia. 1. Looks fantastic with no plastic! 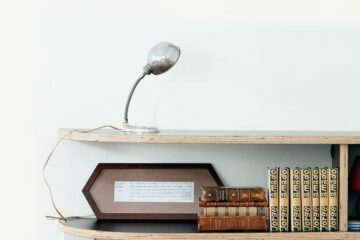 Yep, you read that right – there is zero plastic in this dorm. There are zero plastic bottles at the bar, water is only available in glass bottles, and none of the drinks in the hostel are served in plastic containers. 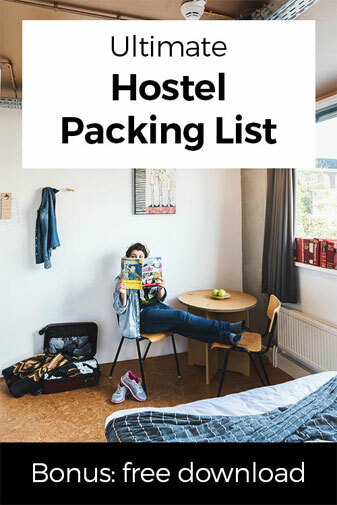 It is a no-plastic hostel! On top of that, the accommodation follows Eco-friendly guidelines, meaning they do things like use natural materials rather than artificial ones and promote recycling. Their bars and restaurants serve up both intentional food and local specialties. They work hard to find local suppliers from around Slovenia. The building itself is “re/upcycled” as well. The building is a former military prison that went through a colorful and dark history. The hostile environment of the military prison this building once was has been replaced by relaxed, open vibes all about being creative and free. The building’s military history dates back to 1882, when Metelkova Street was full of military barracks, including a prison. The barracks were taken over by the Yugoslav National Army when Yugoslavia was formed, and they were used as such until Slovenia gained its independence in 1991. Then, the Metelkova Network requested that the barracks be converted into a multicultural center. The city was extremely slow to respond, and eventually decided to demolish the former barracks in 1993. But a group of about 200 supporters literally stepped in to protect the buildings. Artists began squatting in them to stop the barracks from being destroyed, and dreamed of creating a welcoming, open space someday. The idea for the Hostel Celica was first floated around 2000. The concept was to give each cell its own story. And that’s exactly what happened; a different group of artists was chosen for each cell. Volunteers and over 80 artists from all over the world participated to transform the prison into a hostel. In 2003, the first guests spent the night at the accommodation after a decade of careful planning and transformation. 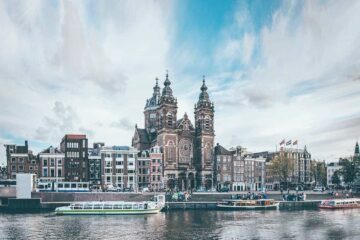 UPDATE: The hostel closed for renovation from January 2018 til end of June 2018. It is now open again. Today, Hostel Celica’s unique history draws guests from all corners of the world and of all ages. 3. 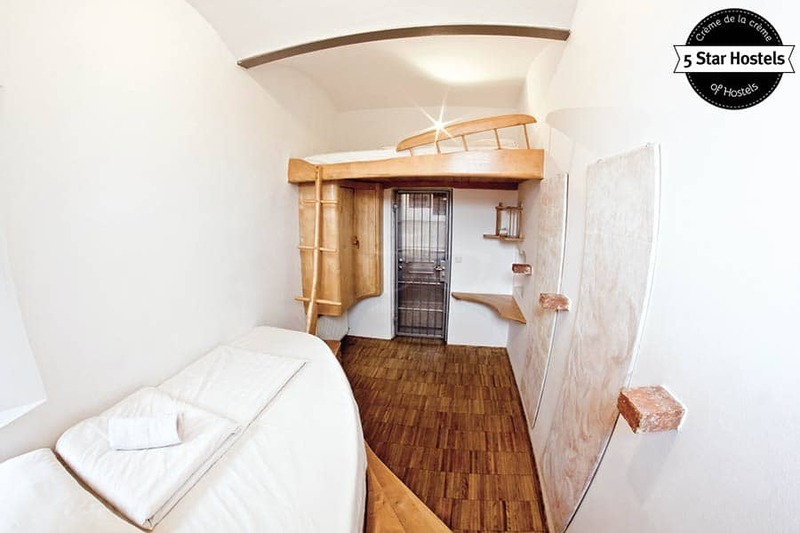 Spend the Night in a Cell – Unique! It’s not often you can say you enjoyed a night behind bars! In fact, has anyone ever actually said that? 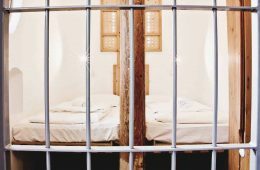 There are 20 former prison cells at Hostel Celica that guests can stay in for a truly unique experience. All of these rooms still have the original bars on the doors and windows (plus some pretty cool artsy features). 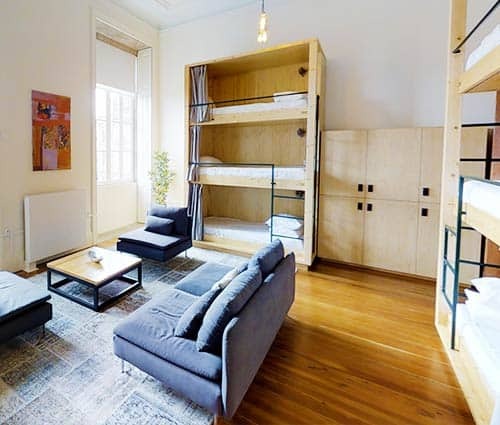 But if staying in a cell isn’t your style, you can also choose from more traditional hostel rooms – by which we mean rooms without bars on the windows! There are 92 beds in Hostel Celica spread out across rooms of all types, so you can select the spot that’s the best fit for you. Whatever you pick, you’ll find custom design elements all over the place. The hostel’s roots in an artistic movement are still part of what makes it special today. With a slew of cultural events going on each and every week, you definitely won’t be bored staying here. 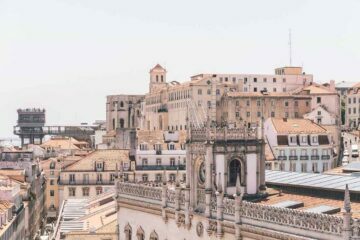 It’s the ideal place for locals and travelers to meet and mix. 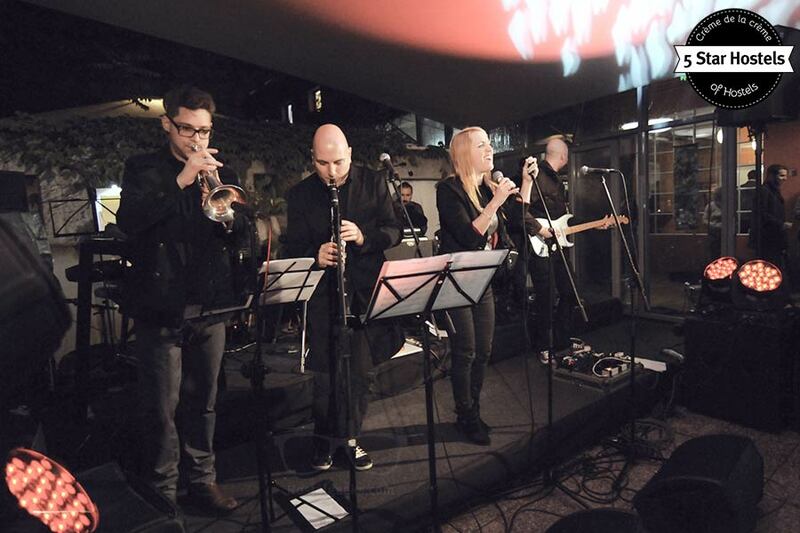 On Tuesdays, live concerts are held, with a variety of musicians from all over the world coming to play. Afterwards, there’s a jam session for people to get up and join in. If you’re lucky, there might be an extra concert on Friday night as well! There’s usually something going on at its 3 themed restaurant and bar areas, which might have anything going on from a highbrow cultural event to cocktail theme nights. You can enjoy shisha sessions, beer pong, and pub crawls as well. You won’t be lonely when it comes time to eat if you’re traveling solo. There are frequent “all-you-can-eat” nights, and during the spring and summer, there are barbecues held outside in the garden. As mentioned at the very beginning, the full official name of the property is the Hostel Art Celica. Twice a month, they present a new exhibition. From guided tours of the hostel every day at 2 p.m. to organizing all the fun events we just talked about, the staff at this hostel are really on top of their game. 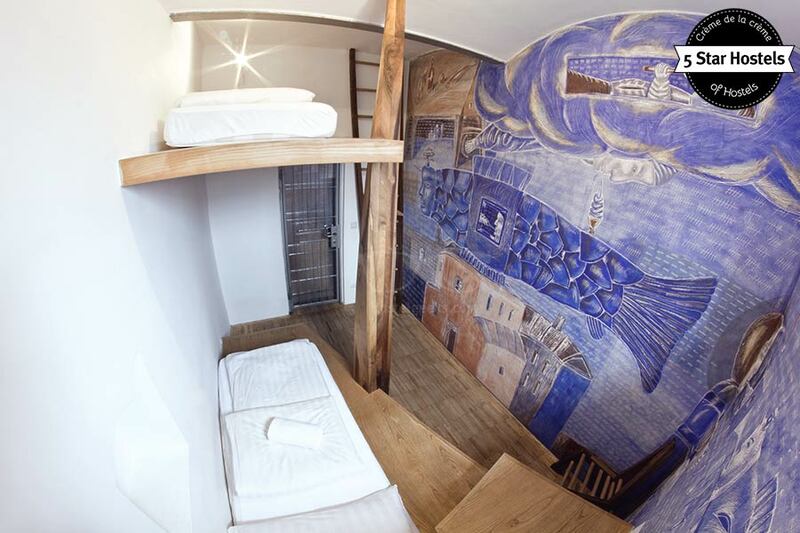 They ‘ll do their best to make sure your stay is a memorable one, and not just because of the hostel’s unusual building. Make sure to stop by the reception desk and chat with the staff. 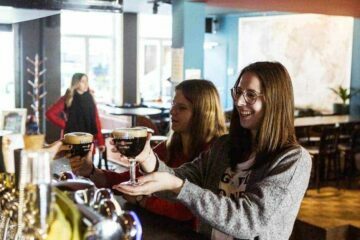 They’ll be sure to let you in on all the great stuff happening around the hostel, or to clue you in to the coolest stuff to do in Ljubljana. 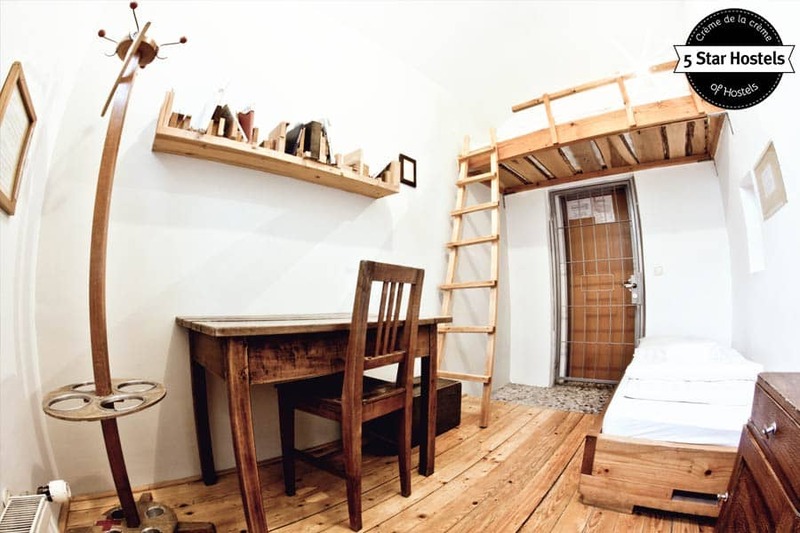 Near Ljubljana, you can stay at many more amazing hostels. 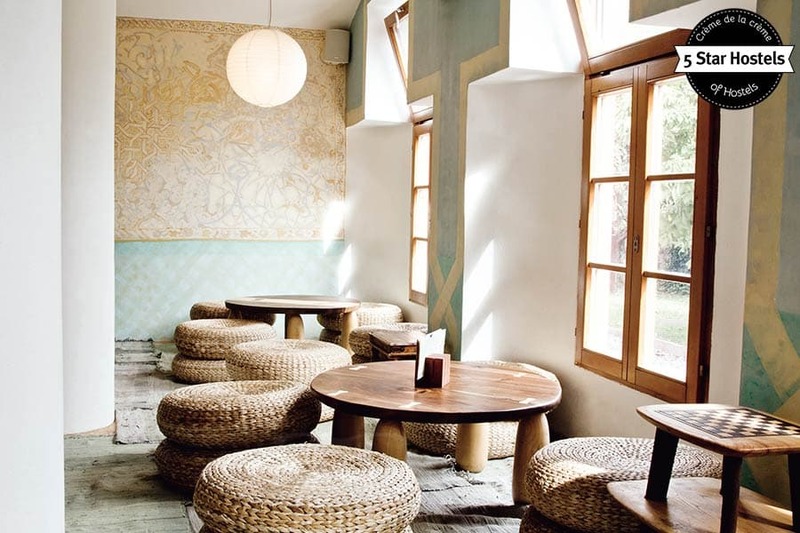 Have a look at the Swanky Mint in Zagreb, or the Hostel Ruthensteiner in Vienna, which once sheltered intellectual refugees during the Cold War. If you decide to head west, stop by the hidden gem of Bologna, a world culinary capital and is also the home of We_Bologna Hostel. 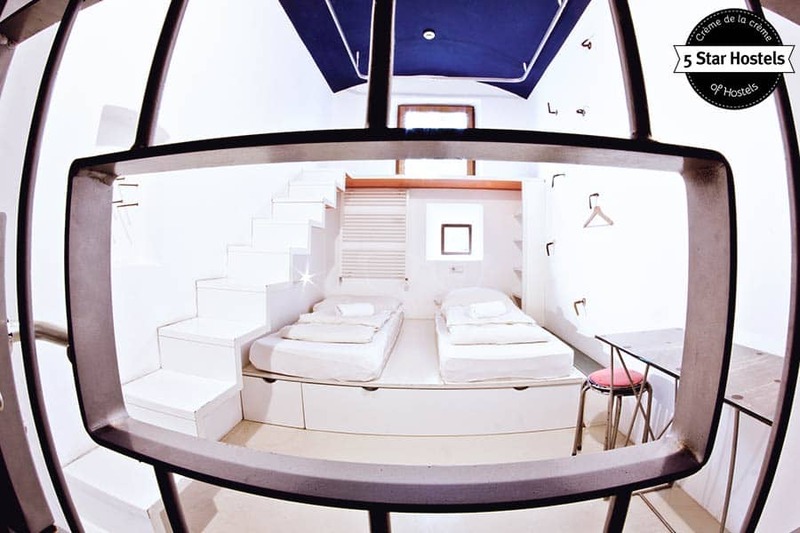 You can find all official 5 Star Hostels right here with us at Hostelgeeks. 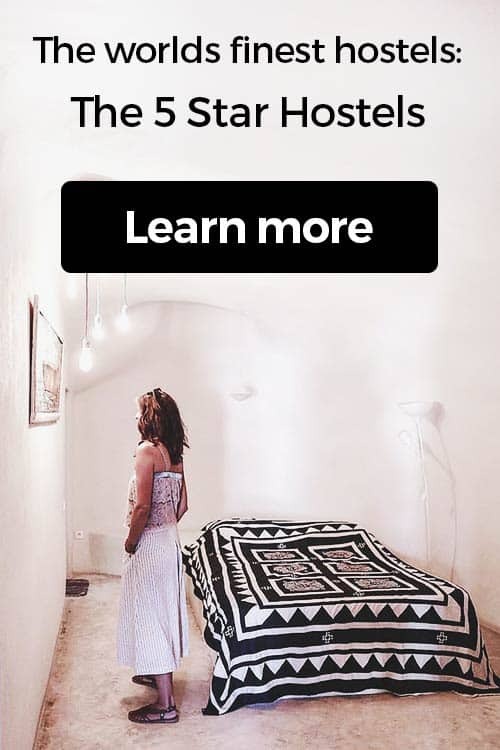 Fancy a promo code for Hostel Celica? Who doesn't?! Now, there is no easy way to say this: Currently we do not have a valid discount for Hostel Celica. We are working on getting more promotional codes for Hostel Celica in Ljubljana, Slovenia and all the other top hostels we reviewed for you. Check out the official website of Hostel Celica. 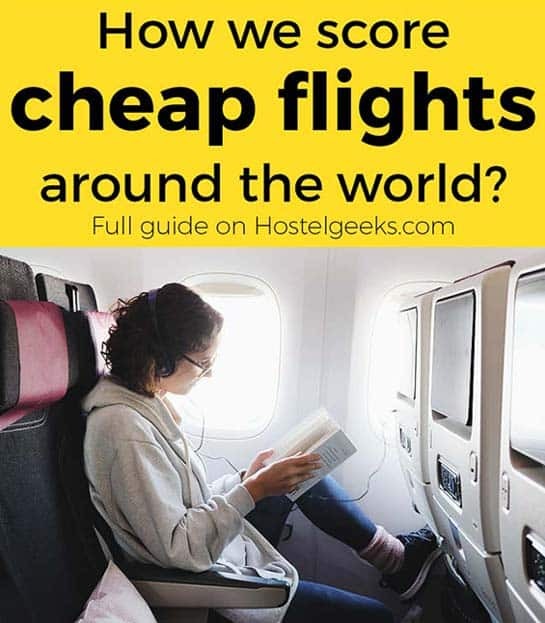 Update April, 2019: How to find flight deals to Ljubljana, Slovenia? Still looking for cheap flights to Ljubljana, Slovenia? We LOVE Kiwi.com. You can search here with a so-called "radius search". It is incredible easy to find sweet flight deals to Ljubljana, Slovenia and area.